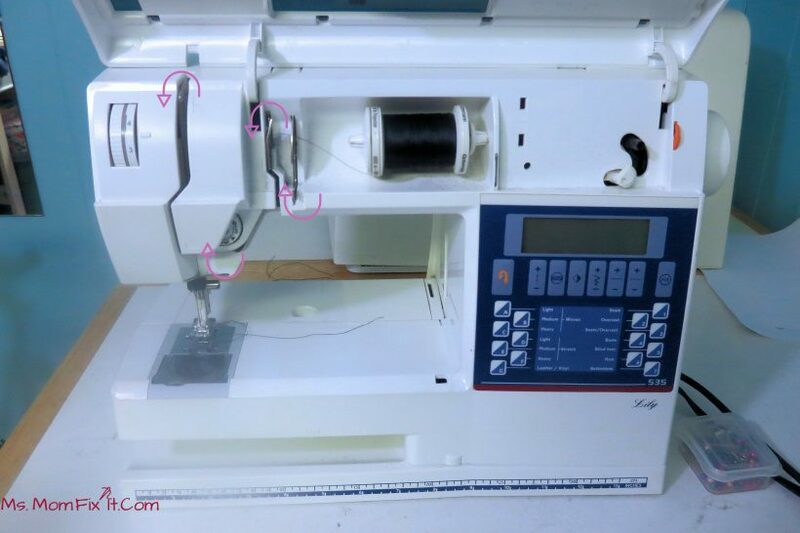 Let’s learn how to thread your sewing machine and get you stitching up a storm! 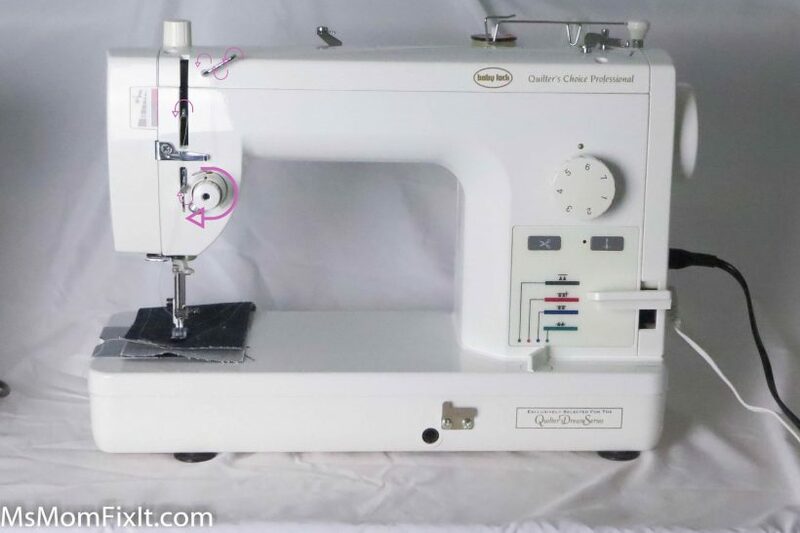 Each sewing machine may be slightly different for several reasons including the age of the machine and/ or brand. However, the general flow is the same. The thread holder is located in the rear of most older sewing machines. 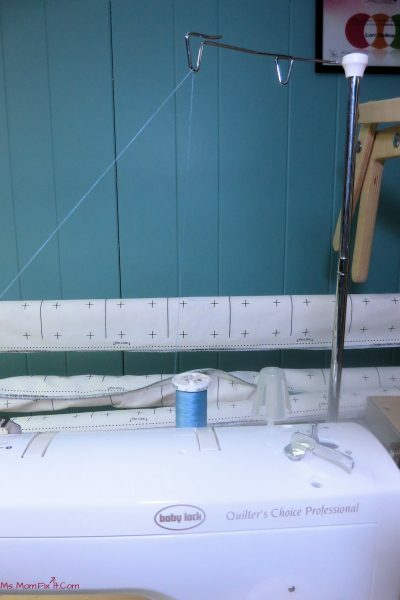 Start by placing your thread on the spool holder. If your spool holder is horizontal rather than vertical, you should have a spool cap to help keep the spool of thread in place on the holder. Direct your thread to the guide at the rear of the machine. In the picture above, the guide is actually above the thread. Bring the thread forward over the machine. You may have an additional guide like in the picture below. Follow the channel provided in the machine or the thread guides on the external surface. Depending on your machine, your tension disk may be located internally or externally. Follow the arrows on your machine or refer to your manual when necessary. In general, you lead the thread slightly to the right. Then, around the tension disk/ knob until you reach what looks like a hook. 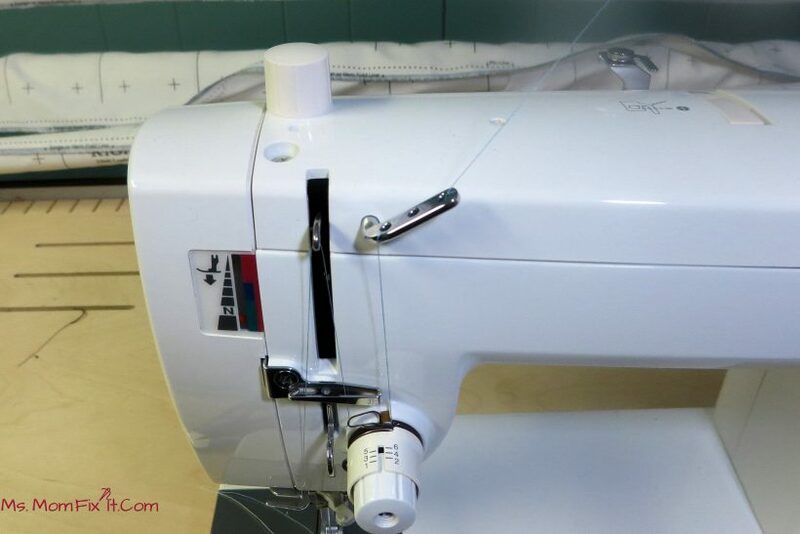 Gently bring your thread back up to the left side channel or thread guides and left across the take-up lever. Your take up lever should be in the highest position and will have a large hole or a more open loop in which to insert the thread. Bring your thread back down to the needle and through the thread guide before inserting the thread through the needle itself. 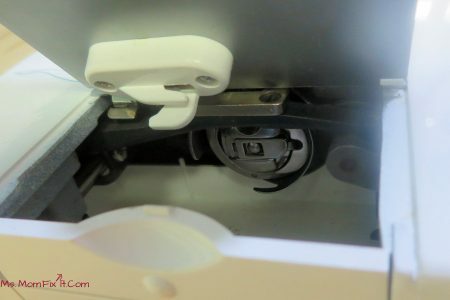 The thread holder for many newer sewing machines is located on the front of your sewing machine, and it is often hidden by a face cover. Check your manual if you don’t easily see the location of the thread holder. Remember that you will need a spool cap for horizontal thread holders which should have been included as an accessory if you purchased your sewing machine new. 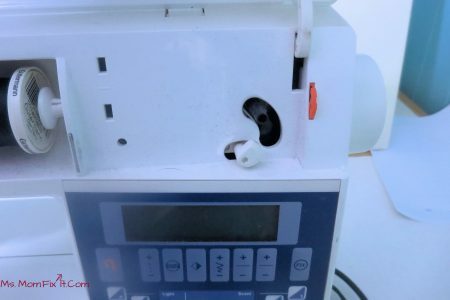 Most newer machines will have arrows on the case indicating where to thread the machine. For front loading machines, you will bring your thread left from the spool holder on the right side of the machine. Next, bring the thread down and following the curving thread channel on your machine. 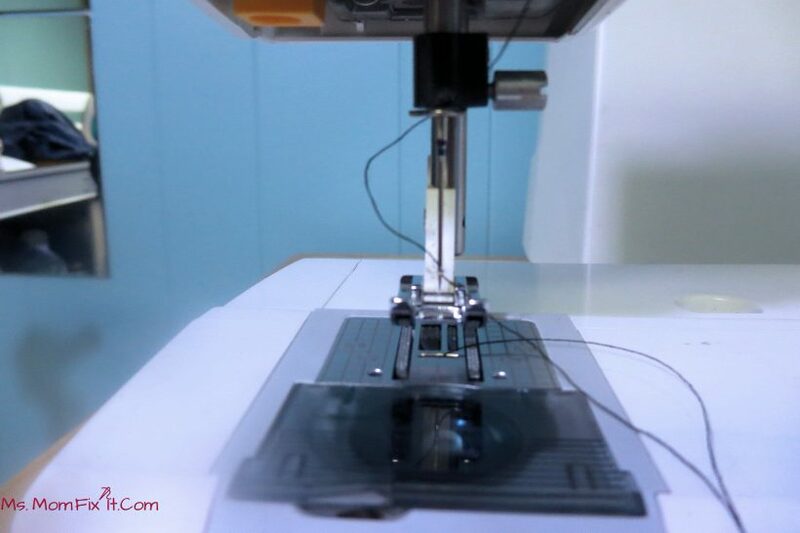 Most newer machines will have a recessed thread tension disk which means that you don’t even realize you are threading it. Just follow the arrows to the bottom of the machine and then back up the left side to the take-up lever. You will loop your thread through the take-up lever and then bring it back down towards your needle. Be sure to use the thread guide before inserting the thread through the needle. 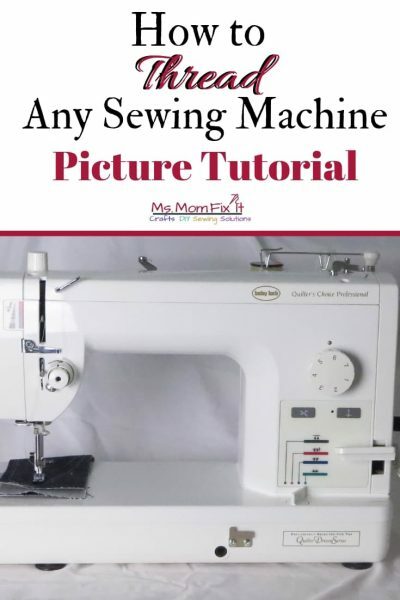 The basic threading pattern for all machines is similar to a capital N.
In order to sew, you need to have thread on your bobbin as well as the sewing machine itself. The bobbin thread is what locks the stitches in place. You may have to refer to your manual as this process may be different on your specific machine. My oldest Singer sewing machine wound the thread onto the bobbin right in the bobbin case. Yet, my Husqvarna-Viking sewing machine winds the bobbin on a specific bobbin winder near the thread spool holder. 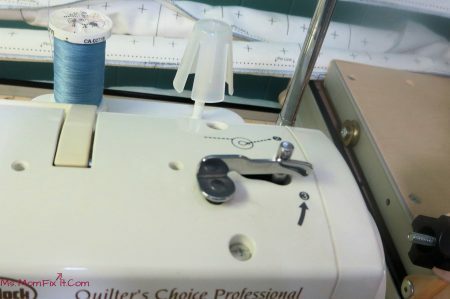 For most machines, you will wrap a small amount of thread around your bobbin and slide your bobbin winder to the right. 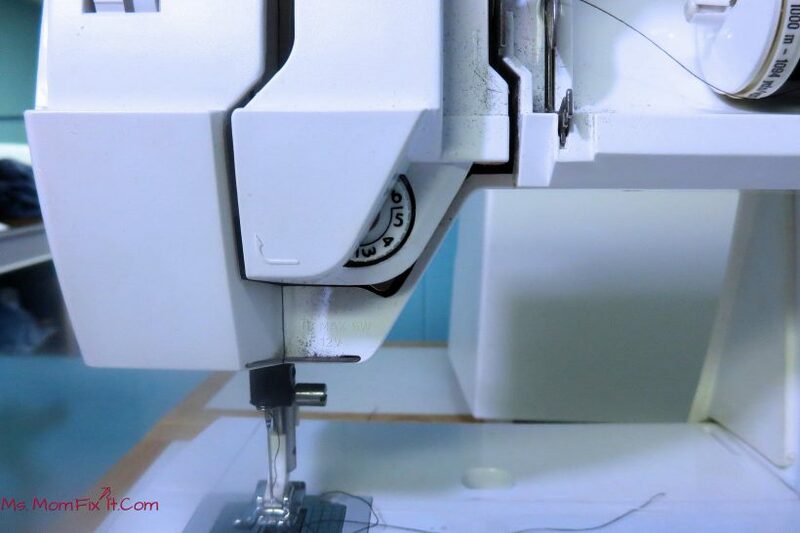 Hang onto the thread and press down on your machine foot pedal. The bobbin should start winding. You will notice a small nub near the bobbin winder. As your bobbin fills, it will experience tension from this nub indicating when it is full. 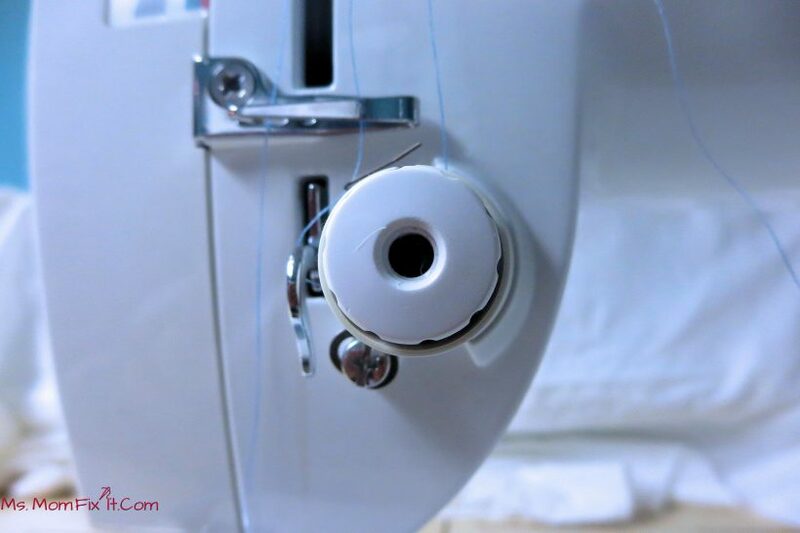 Once the bobbin is full, slide your bobbin winder back to the left and remove the bobbin from the winder. The bobbin would then be placed in its bobbin holder. 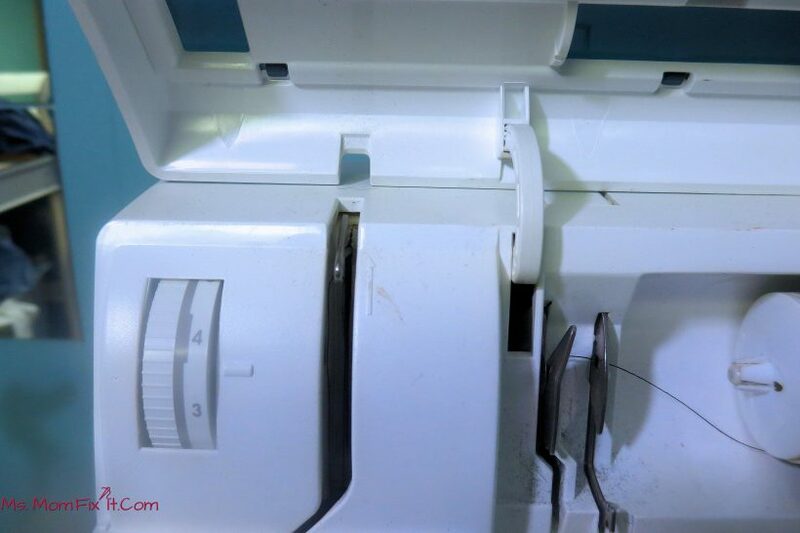 Check your sewing machine manual for the proper direction to insert your bobbin. Often the bobbin will be placed in counterclockwise so that the thread tail will go through the tensions on your bobbin case (clockwise). For a front or side=load bobbin, you likely have a metal bobbin case. Lay the case in your hand like a bowl and drop the bobbin in as indicated by your manual. Pull the tail up through the tension on the top of the case. Then, insert the case into the machine. At this point, you should have thread in the top thread holder as well as your bobbin, so let’s bring it all together. 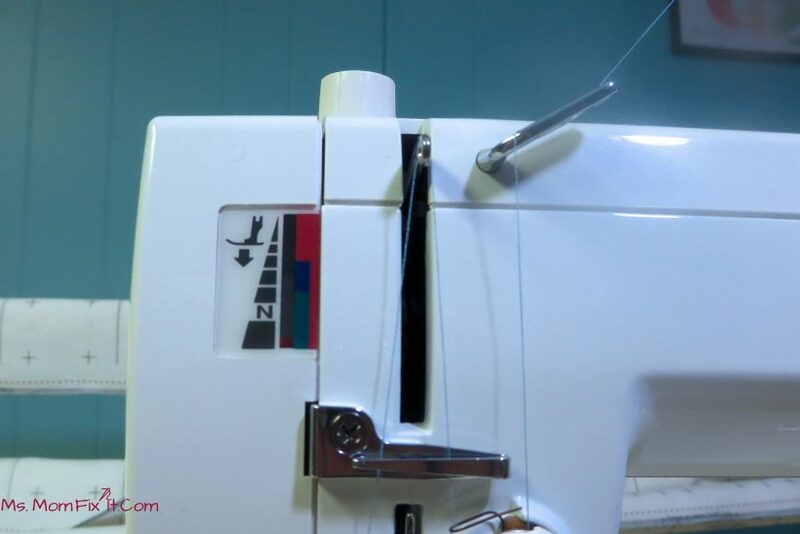 Using your hand wheel, slowly lower your threaded needle into the machine and back up again. The top thread should catch the bobbin thread during this step and pull the bobbin thread up with the needle thread. Simply grab both threads and pull them to the back left. 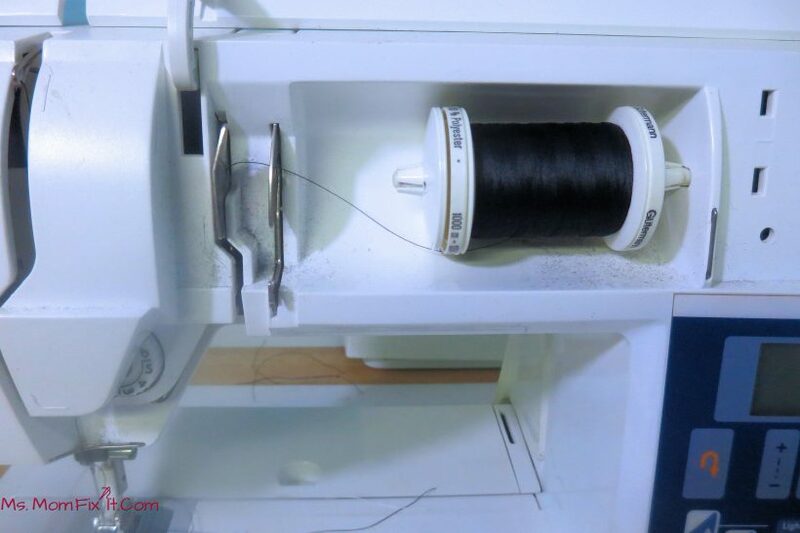 When sewing, make sure to keep these thread “tails” approximately 3 inches long to prevent your needle from becoming unthreaded or losing your bobbin thread. 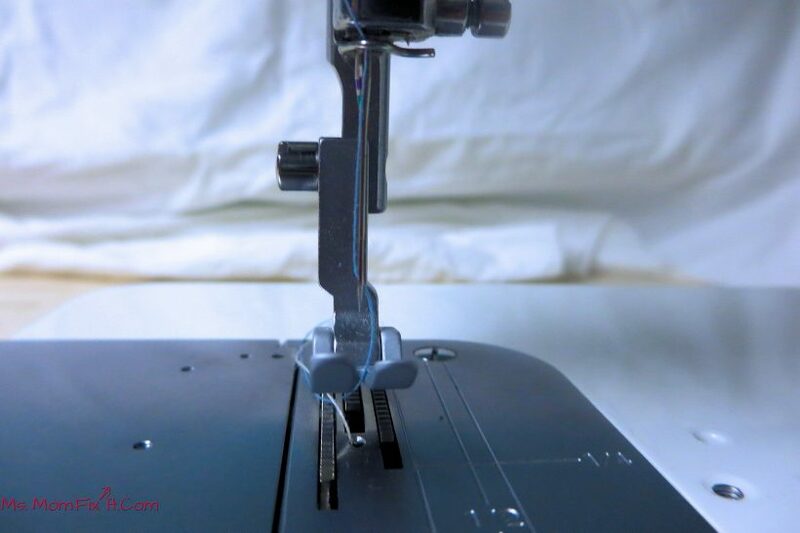 Once your machine is fully threaded, remember to always have fabric under the needle. If you continue to sew past the fabric, the top thread will tend to bind up in your bobbin area causing unwanted knotting and heartache. 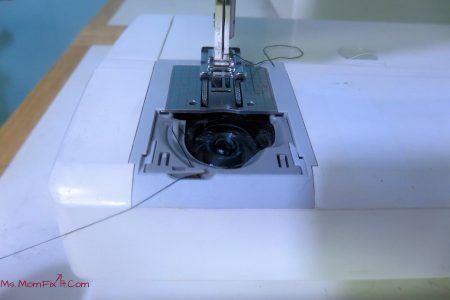 Learning how to thread any sewing machine is really quite simple!